Still using the same old stock images? Stay ahead of the curve and renew your blog posts and website with fresh innovative images, keeping your brand current. Collaborate with Julie Crespel Photography to create your monthly digital photographic content for use across all social media. 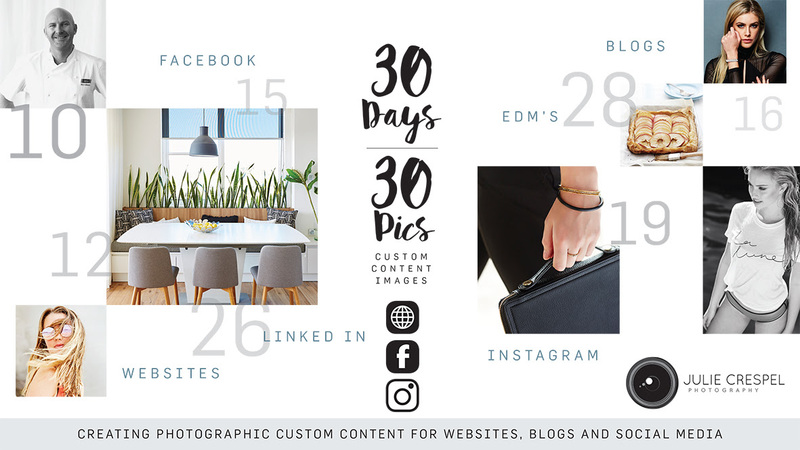 Elevate your brand and increase your following with inspiring, original images for LinkedIn, Facebook and Instagram to showcase your company. 30 new, authentic images for 30 days of posting.